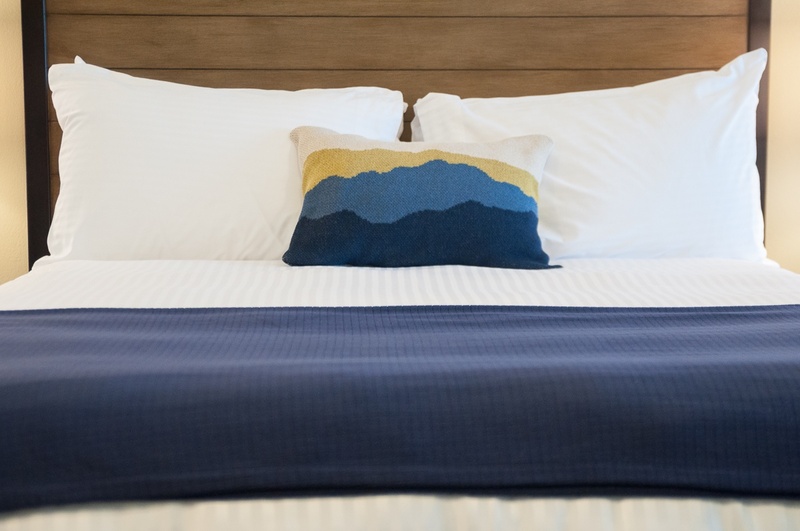 Wake up without your alarm in your king-sized, pillow-top bed in one of RiverWalk Resort’s luxury suites. Brew a cup of coffee while you light the gas fireplace in your living room. Enjoy a quiet cup with your sweetheart as you relax by the fire with incredible views of the mountains just outside your room. Once you’re officially awake, it’s time to hit the town for a little romantic adventure. Start the morning with an outdoor activity under the snow-covered trees. 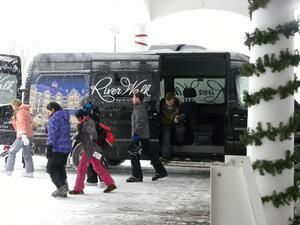 Take the shuttle bus from the RiverWalk Resort to Loon Mountain’s Adventure Center. Rent snowshoes or cross-country skis and get your heart rate up while you take in the quiet beauty of the surrounding White Mountains. The wide, perfectly groomed cross-country trails are perfect for all levels of skiers and follow a network of historic logging roads along the Pemigewasset River. Head back to the lodge and warm up with a cup of hot cocoa while you wait for the shuttle bus to take you back to your suite at RiverWalk Resort. Enjoy a relaxing hot shower while you get ready for your lunch date. Downtown Lincoln has many wonderful options for lunch. The Gypsy Café on Main Street is just a short stroll from the resort. A local favorite, the Gypsy Café has an eccentric menu with dishes from around the world and at home. Dishes are cooked from scratch using local ingredients whenever possible, and many dishes are vegetarian or vegan. 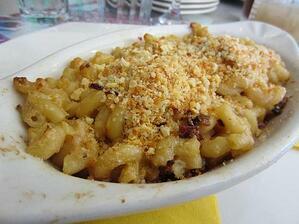 The Cranberry Mac and Cheese (pictured right) is a delicious blend of New Hampshire cheese, cranberry, bacon and potato crumbs. If you’re looking to spice up your love life, the Enchiladas Rojas, Tao Black Bean Burger, and Moroccan Bus Station Lunch is always a good option. Just remember to bring some breath mints for after! Nothing says love like a good pampering at the spa. Book a couple’s massage at Solstice North Day Spa in the heart of the RiverWalk Resort. With a staff of highly professional masseuses and estheticians, you’ll leave feeling your best. Couple’s Massage range from 30 minutes up to 90 minutes. Pair your massage with a relaxing foot soak. There’s even a woodsy treatment just for men! If you’re planning a big night out (which you should! ), complete the package with a refreshing facial and mani/pedi. You’ll be beaming from head to toe on your Valentine’s Day date! Now that you’re all dolled up for the big night, head down the hallway to the wine tasting room at Seven Birches Winery housed in the main floor of the RiverWalk Resort. 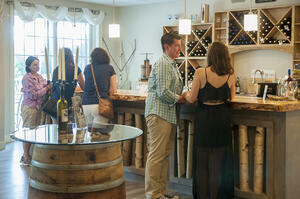 Taste some of New Hampshire’s finest wines from Seven Birches’ tasting menu. With an extensive list of red and white wines, you’ll find something to tickle your taste buds. Purchase a bottle of your favorite for later. Of course, no Valentine’s Day is complete without chocolate, so make sure you get the chocolate tasting plate to go with your wine. You’ll want to book your evening activities in advance as both may sell out. Start your evening as the sun sets over the mountains and the stars start to peak out beneath the clouds. 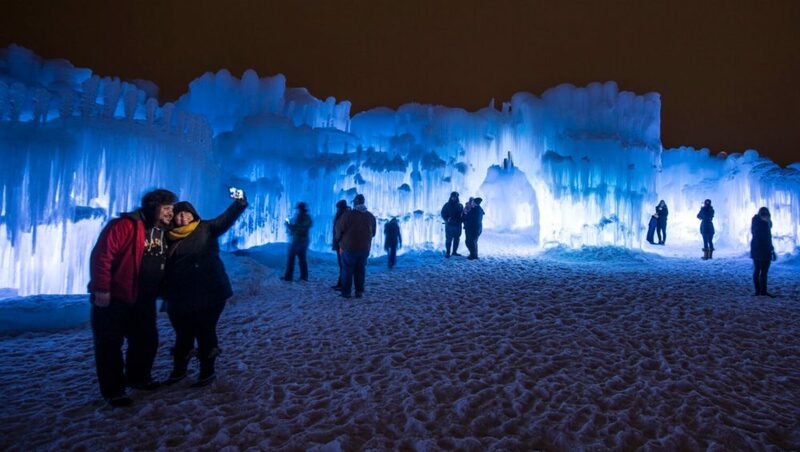 Dress warm and head over to North Woodstock to see the enchanting Ice Castles. Lit with thousands of colorful LED lights, you’ll explore a frozen fortress made entirely of ice. Let your inner child run wild and crawl through the maze of tunnels, glide down the slide, and perch upon your frozen throne for the perfect selfie with your sweetheart. Head back to the suite and put on something a little nicer for your evening reservations at La Vista Italian Cuisine. Nothing says romance like Italian food. If you’re looking to have a Lady and the Tramp moment, there is plenty of delicious pasta dishes on the menu. 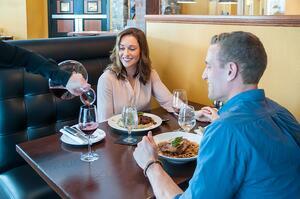 Pair your dinner with a glass of one of their many fine wines. And, don’t forget about dessert! Depending on how you’re feeling after your big day, you have two options. Change into your swimsuit and head down the outdoor heated pool and hot tub or uncork the bottle of wine you purchased earlier and enjoy a relaxing bath in your soaker tub in your master bedroom. Either way, it will be a night to remember! If you are planning a Valentine's Day getaway for you and your partner at RiverWalk Resort, make sure you reserve your suite before they are gone. Valentine's Day is a big weekend at RiverWalk Resort! Call La Vista for dinner reservations and Solstice North Day Spa to book your appointment for a couple's massage. Lastly, check out our Relax and Stay Package for special offers!